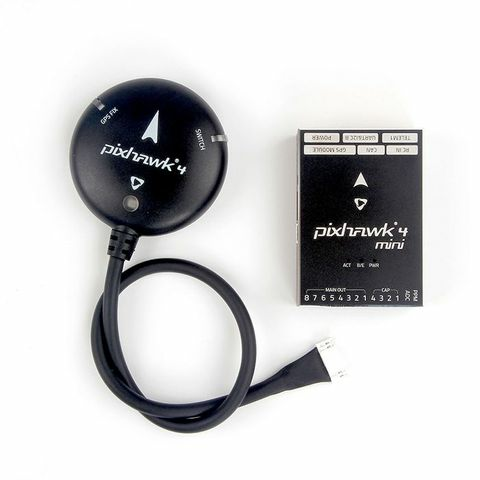 Holybro Pixhawk� 4 Mini autopilot is designed for engineers and hobbyists who are looking to tap into the power of Pixhawk 4 but are working with smaller drones. Pixhawk 4 Mini takes the FMU processor and memory resources from the Pixhawk 4 while eliminating interfaces that are normally unused. This allows the Pixhawk 4 Mini to be small enough to fit in a 250mm racer drone. Holybro Pixhawk 4 Mini was designed and developed in collaboration with Holybro� and Auterion�. It is based on the Pixhawk FMUv5 design standard and is optimized to run PX4 flight control software.